14" tall x 14" wide Windvest for mounting on T-bars. Please see our other listings for 16" and 18" tall Windvests. 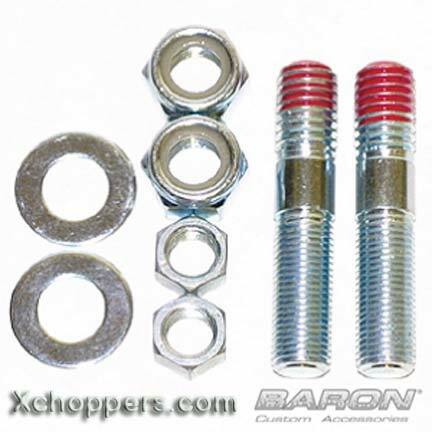 Available to fit 1", 1 1/4" or 1.5" T-bar handlebars. Handlebars are not included with this kit but several can be found in our handlebar section. 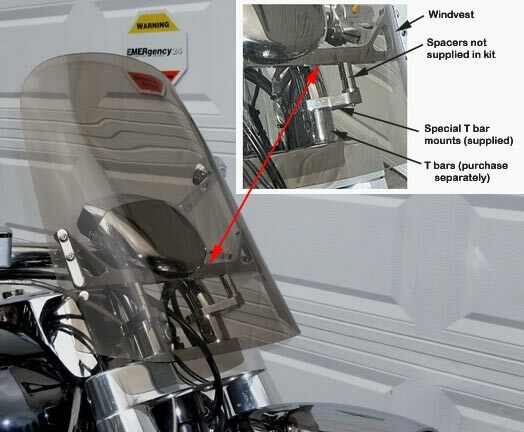 See options below for choice of handlebar diameters and clear or light smoke tint. 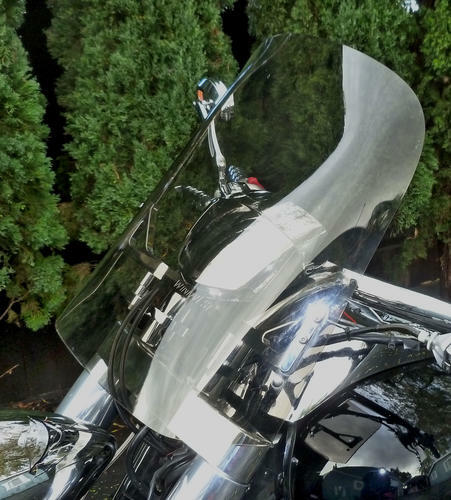 18" tall Smoke Windvest with 1.5" spacers Shown above on Xchoppers 2007 Suzuki M109. 14" and 16" heights in clear or smoke also available. Need help in deciding? Call and talk to Grant. I'll be happy to fill you in.